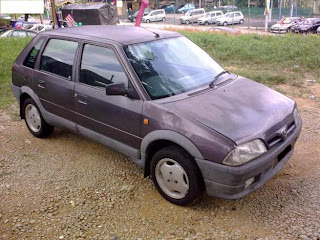 The Proton Tiara is a Malaysian automobile based on the Citroën AX, built under licence by the automobile manufacturer Proton between 1996 and 2000. The genesis of the Tiara was the result of an agreement during the mid-1990s between Proton's then CEO, Tan Sri Yahaya Ahmad, and PSA Peugeot Citroën, a producer of Citroën and Peugeot vehicles. Yahaya had expressed wishes that Proton not use Mitsubishi platforms, and that Proton cooperate with PSA Peugeot Citroën for access to its diesel engines. Yahaya Ahmad was killed in a helicopter crash in 1997, and Proton returned to using various Mitsubishi-based platforms and developed in-house designed models later. Production of the Tiara ceased in 2000 due to low sales volume; in 2005, the Proton Savvy was launched as a successor to the Proton Tiara or Citroen AX. The Tiara was known as the cheapest used car in its market. Its appearance mimicked that of more powerful Citroën AXs, such as the AX GT, but the grille was restyled to match the existing Saga and Wira models. Other cosmetic differences included different bumpers and taillight clusters. It was only available with a 1.1-litre 45 kW (60 hp) engine. 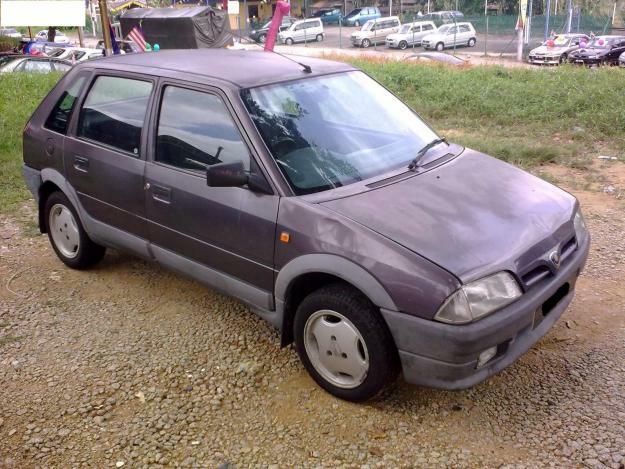 The Proton Tiara was sold only in the Malaysian market, due to similarities with the Citroën AX. Last updated on 25 June 2013 at 04:42.